Pomegranates- they add a sweet flavor to any batch. I use them sparingly because they are expensive. Beets- I love juicing beets. However, the flavor can be overpowering so make sure that you like it before you add it to anything else. Romaine lettuce- I seriously cannot believe how much juice is in lettuce. Juicing romaine creates a smooth, green juice base. Grapes- My kids love grape juice! If you know me, you know how cheap I can be. So, I’ve had a couple of cheap juicers before…and they quickly broke. Seriously, they were junk. Get yourself a good juicer. I’d highly suggest the gnarly juicer I have. It’s an Omega J8006 Masticating Juicer and it is the bomb. Seriously, I love it, love it, love it! In order to keep costs down, it’s important to shop around for sales. Only buy produce when you can get it for a reasonable price and buy lots when you can. I personally only buy and juice what’s on sale and I like that method because it gets me to try new recipes all the time. When a fruit or vegetable is on super sale, I often buy a huge amount and juice it until the next sale comes along! Another way to cut costs is to skip buying organic every time. For a lot of produce, you can simply wash and skin the fruit or vegetable for the same effect. I personally always peel cucumbers, apples, carrots, and anything with a skin. 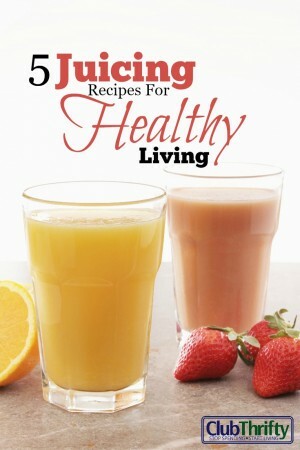 If you’re interested in ordering a book of juicing recipes, check out the Juicing Bible. It’s totally rad, and I think you’ll love it! Have you ever tried juicing? If so, what are your favorite juicing recipes? Do You Force Yourself to Exercise? Nice names! Those are some really interesting combinations. Like DC and John, we’ve been much more into smoothies, probably because we have a blender and not a juicer. I’m guessing we could adapt some of these recipes for smoothies too. Thanks for the ideas. My kids would LOVE to juice fruits and vegetables. I have been working on being more healthy so maybe one day I’ll fork out some money for a juicer. They are so expensive! The only reason I got mine was because I had leftover Kohl’s gift cards. The closest we get to this is doing fruit smoothies which all the kids love. I think I would have to bribe them into drinking juiced broccoli though. They don’t taste it because the fruit juice blocks the taste! My kids drink all kinds of things…..they have no idea! We use the food processor to make smoothies, but I might try some of your juice recipes as smoothies to see how they work out. Thanks for sharing those (and the names are hilarious…part of me was hoping one would be called “special drink”). Hey, that’s a great idea! Fine recipes, Holly. Even better names for them;) Thanks for sharing! I’m still trying to sell the free juicer I got (didn’t even open it) because I really didn’t think I would use it that much. I use my good quality blender to make green smoothies…which is probably good for me right now. Have you put it on craigslist? I think I’m putting a juicer on my Christmas list. I make smoothies with lots of stuff and it’s amazing what you can hide in there and not taste it, but I do have to add juice or milk. It would be nice to just smush up all the fruit and veggies. I love the clever names, especially Liquid Crack. 🙂 Does the consistency get thicker when you add sweet potato, or is it able to liquify? Yes, some things make the consistency thicker- sweet potatoes, peachers, mango, etc. It doesn’t bother me. I started fruit smoothies as the temperatures started to rise. I use a combination of juice, frozen and fresh fruit. It replaces my hot cereal breakfast. That sounds like a good plan too! Ok, but PLEASE don’t blame me if you don’t like them. I had to guesstimate what I really put in them! Forget the smoothies the names themselves are worth buying. We should go in business and sell some smoothies you come up with the name of the shop though. I think I would go for the Liquid Crack and the Cancer Killer. Will try these on Thursday with a extra kick!! I have a juicer but I’ve only used it once. I mean to start juicing regularly but I get lazy and my produce ends up going bad, I hate it! The one time I tried it I used celery which overpowered the whole drink despite only using half a stalk! Thanks for the recipes, I’ll have to try them once I actually start juicing regularly! I do not juice celery….I think it’s nasty! Maybe I mis-read the recipes, but where’s the rum?? Feel free to add any alcoholic beverage of your choice to these although that might cancel out some of the health benefits! We just bought a juicer a couple weeks ago with the intention of starting to do this! Thanks for the recipes – it’s hard to know where to start! I love the recipe names! What a perfectly timed post! My husband and I received a juicer for our wedding, and it’s arriving in the mail today! These are great recipes. Thanks for sharing. Thomas from Daily Finance sent me your way for some recipes. I just started juicing last week and love it so far. I did a 5 day cleanse and now I’m doing some juicing with some solids. Hey, thanks for stopping by! I really want to do a 3 or 5 day cleanse as well but I am worried that I will snap and go insane. Has that ever happened to you? Um…yes haha. On the third day, I felt like a crack addict or something. I was literally jittery and couldn’t sit still and was about to eat my own arm or something. It gets better though, you just have to push through those first couple of days. These recipes motivate me to get a juicer and start juicing! The recipes sound delicious! out loads. I am hoping to contribute & help different customers like its helped me. It’s going to be end of mine day, except before ending I am reading this impressive article to improve my experience. detailed information you offer. It’s nice to come across a blog every once in a while that isn’t the same unwanted rehashed material.